The most affordable tablet that Lenovo is offering runs on the Android Go Edition. The price of the most premium tablet of the lineup is not revealed. Lenovo has announced its new line-up of budget Android tablets, which start at $70 (Rs 4,891 approx). The company's new line-up includes E series of affordable tablets, a mid-range M series and the premium P-series tablets. The devices come in different sizes and various colours to choose from. Lenovo Tab E7: The E series of tablets comes in three different sizes beginning with the Lenovo Tab E7. The Tab E7 sports a 7-inch LCD display and runs Android Oreo Go 8.0 OS. This is the most affordable and smallest of the three E-series tablets and is priced at $69.99. Lenovo claims that this tablet delivers up to five hours of video playback. 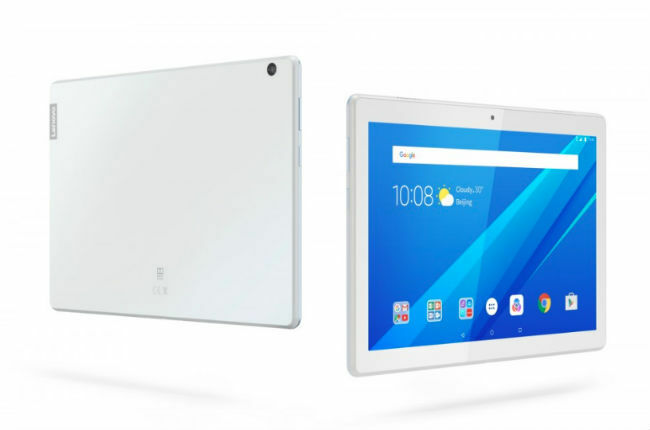 The Tab E7 will be available in October in the US. Under the hood, the device is powered by a MediaTek MT8167 processor clocked at 1.3GHz, 1GB RAM and 16GB of storage that can be expanded up to 128GB. There is a 2MP fixed focus camera on the rear, and a 0.3MP front-facing shooter. The phone is powered by a 2750mAh battery. 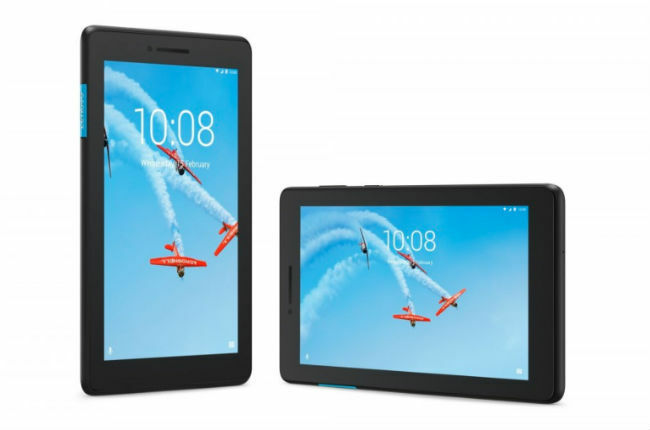 Lenovo Tab E8: The Lenovo Tab E8 is an upgraded version of the Tab E7. It comes with a larger 8-inch HD IPS LCD display and is powered by the MediaTek MT8163B processor, which is clocked at 1.3GHz. It sports 1GB RAM and is equipped with 16GB of storage that can be expanded up to 128GB via a microSD card. In terms of optics, the tablet features a 5MP auto-focus rear camera and 2MP fixed focus front-facing sensor. It is backed by a 4850mAh battery and runs Android Nougat OS. The Lenovo Tab E8 starts at $99.99 and is now available in the US. Lenovo Tab E10: the Tab E10 is aimed at users who don't mind a slightly bulky device with a bigger screen. The Lenovo Tab E10 features a 10-inch HD IPS LCD display and two front-facing speakers with Dolby Atmos for better sound. It is powered by a Snapdragon 210 1.GHz SoC coupled with a 2GB RAM. Just like the other two models, the E10 also comes with 16GB of storage, which can further be expanded up to 128GB. The tab features a rear 5MP auto-focus camera and a 2MP fixed focus front-facing snapper. With 4,850mAh battery, Lenovo claims that the tab can deliver up to seven hours of video playback. The Android Oreo Go Edition will be available starting at $129.99 in October. 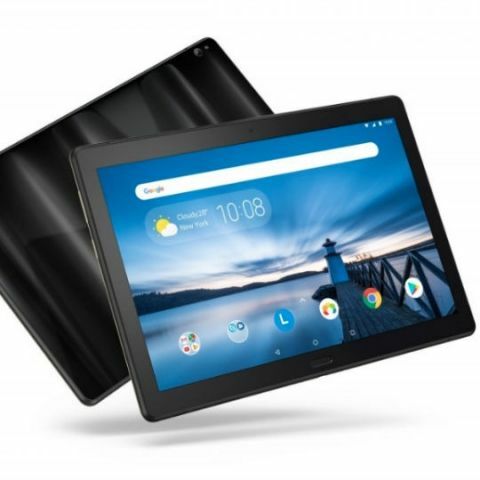 Lenovo Tab M10: The Lenovo Tab M10 is a mid-range tablet with a 10-inch Full HD IPS LCD display and is powered by a Qualcomm Snapdragon 450 Octa-Core clocked at 1.8GHz coupled with 3GB RAM and 32GB storage. The internal memory can be expanded up to 256GB via microSD card. It sports a rear 5MP auto-focus camera and a 2MP fixed focus front-facing shooter. The tablet includes dual front-facing Dolby Atmos speakers, 4850mAh battery and runs on Android Oreo. One can also opt for a Kid’s Pack, which includes a protective bumper for the tablet as well as a kid’s mode with content curated especially for children. Lenovo Tab P10: The final and highest-end tab of the line-up is the Tab P10. It sports an all-metal frame and a glass back. The 10.1-inch FHD screen is surrounded by slim bezels and includes four Dolby Atmos speakers. There is a fingerprint sensor that lets each family member log into their respective user accounts. It is powered by Qualcomm Snapdragon 450 Octa-Core 1.8GHz processor, which comes with 4GB RAM and 64GB of storage (expandable up to 256GB). In the camera department, the Tab P10 features an 8MP auto-focus camera on the back and a 5MP fixed focus front-facing camera. It also includes a large 7000mAh battery which is claimed to deliver up to 15 hours of video playback. Lenovo Z510, Z50-70. Which one to pick?